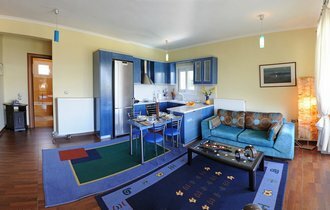 Each time you make a reservation through this website, your reservation is made directly with Pirofani Villa Apartments. As such, you are guaranteed the lowest possible rate, unlike reservations made through third party systems (whose prices include the given platform’s commission). 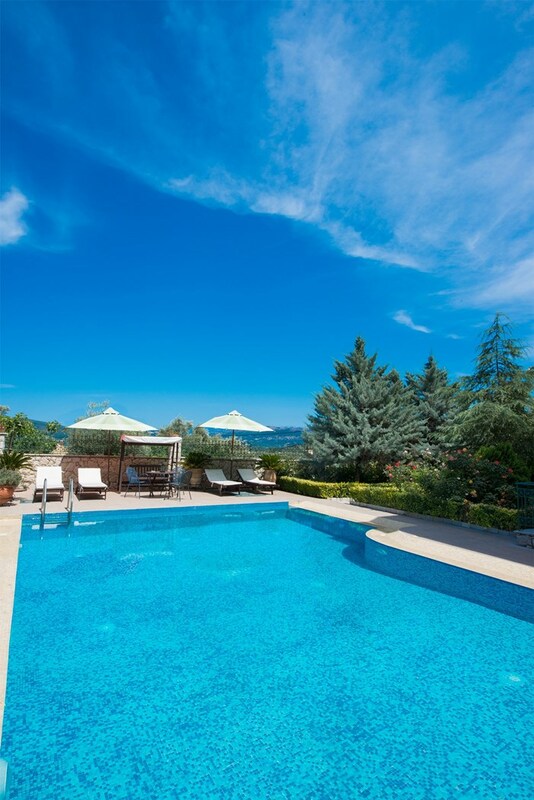 To send a reservation enquiry directly to Pirofani Villa Apartments click here! 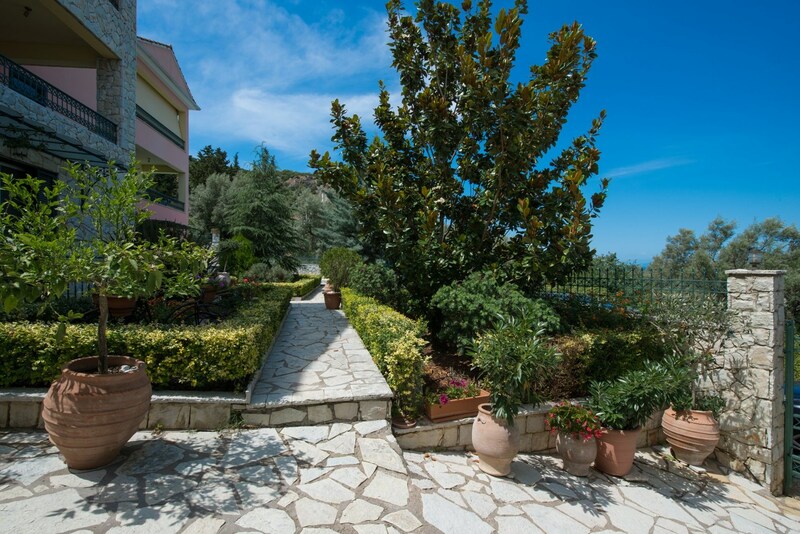 Pirofani Villa - Apartments is found at a beautiful location in the area of Apolpena at a distance of 3km (~2 miles) from the city of Lefkada. It consists of a newly-constructed complex, in a lush-green natural environment, with a superb flower garden and a crystalline swimming pool. 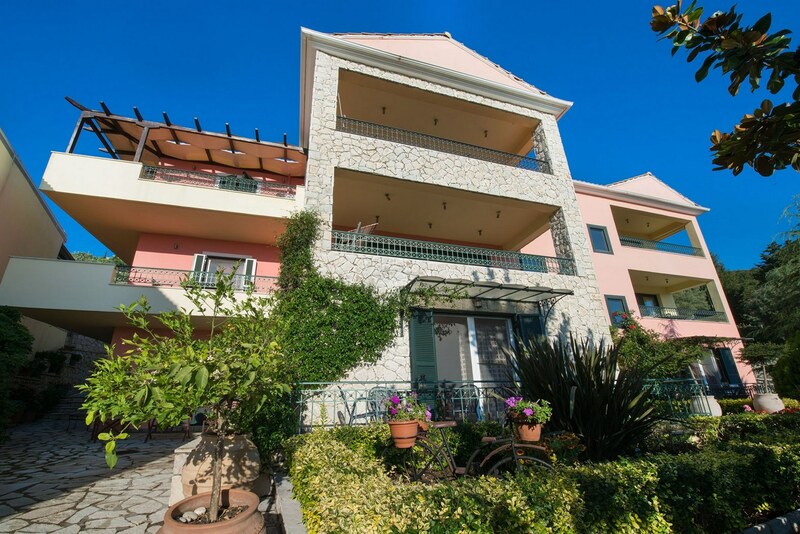 The complex is ideal for excursions to all the magical beaches of Lefkada island, and much more. 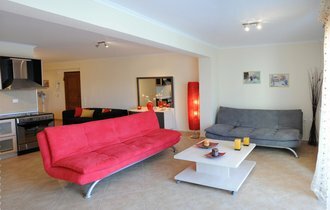 It offers its guests 4 apartments with 1 or 2 bedrooms, which can comfortably accommodate from 2 to 5 people accordingly. All are spacious, decorated with taste and attention to the finest detail, and fully equipped with all modern amenities, giving guests a feeling of luxury and relaxation throughout their entire stay. 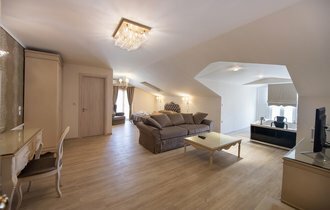 They also have a big dining-living room, kitchen with all the necessities and bathroom. 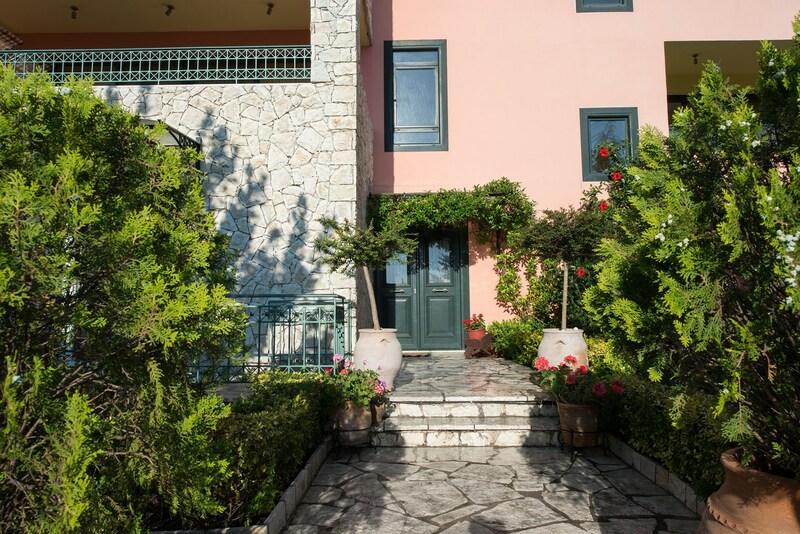 Upon your arrival you will immediately feel the warm hospitality, and in addition to the smiles and service, you will also be greeted with fresh fruit and a home-made sweet. 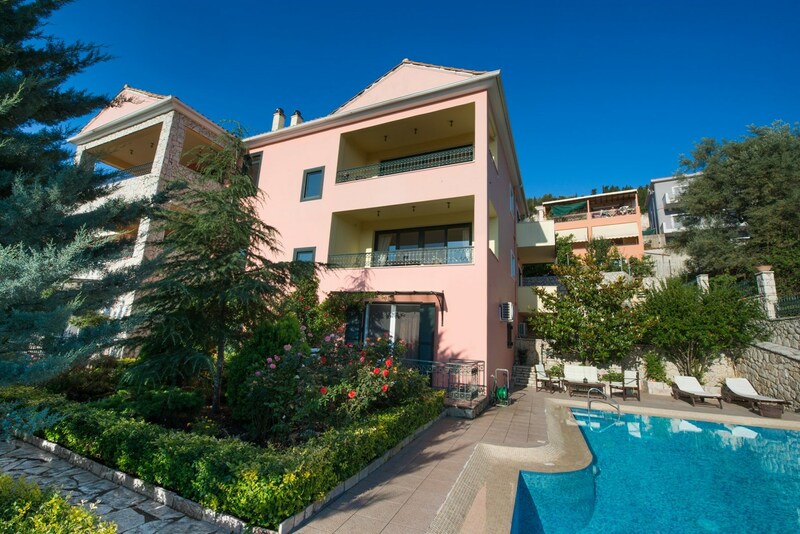 Pirofani Villa - Apartments is the correct choice if you want to be close to the center, while enjoying at the same time, a quiet, idyllic setting.